Solutions to every problem. 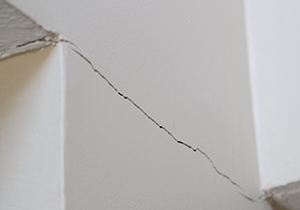 Cracked foundations with buckling, bowing, or tilting walls are dangerous for your home. 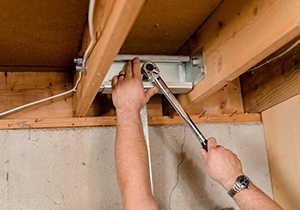 Our experts can repair your foundation, making it safe and functional. 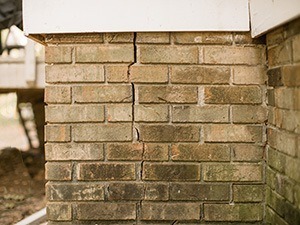 Foundation damage can seem very daunting, as structural issues can affect the overall safety, appearance, and value of your home. If you have noticed foundation floor cracks, bowing or tilting walls, or other signs of foundation damage, then contact Badger Basement Systems. We can accurately assess your home's foundation and offer superior foundation repair solutions! Foundation damage is not one size fits all, so we provide patented products and methods that can be custom designed to suit your home's needs. As your local Wisconsin & Illinois Supportworks dealer, we offer exclusive, warrantied products that we install. If you are ready for long-lasting, professional foundation repair services that go beyond structural restoration and provide added protection, then contact Badger Basement Systems! 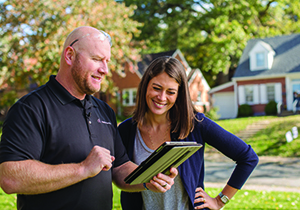 Call 1-844-225-3694 or click below to schedule a free, no-obligation foundation repair estimate in Madison, Milwaukee, Janesville, Rockford, La Crosse, West Allis, Racine, Waukesha, Eau Claire, and nearby in Wisconsin & Illinois! You don't have to live with stressful foundation problems. Badger Basement Systems is here to provide you with quality foundation repair services that will restore the integrity of your home. 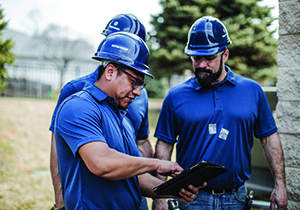 Contact us today to request your free foundation repair estimate in Milwaukee, Janesville, Rockford, Madison, Racine, Waukesha, Eau Claire, La Crosse, West Allis or nearby.